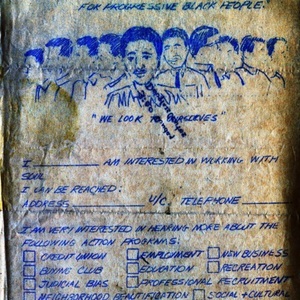 Flyer distributed by S.O.U.L., a civil rights group active in the late 1960s and early 1970s. S.O.U.L. stands for Security, Opportunity, Unity, Love.